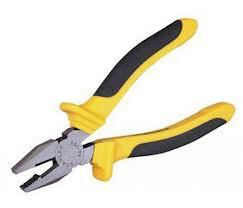 Builders Brand Combination Pliers. Chrome vanadium steel with hardened cutting edges and jaws. Soft grip handle.